The blogging movement is quickly picking up speed, especially as businesses realize what a valuable and powerful business building tool it can be. 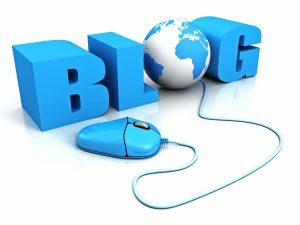 If you are not currently writing a blog for your UnFranchise® Business, it may be time to weigh the pros and cons and decide if blogging is a good fit for you! Read on for our list of pros that can help in making your decision to blog or not to blog. You don’t have to be a professional designer to build a blog. Many blogging platforms like WordPress and Blogger are user-friendly and don’t require any real graphic or design skills. Writing a blog fuels your SEO (search engine optimization), increasing the traffic volume for your business. Creating knowledge of what you offer and generating a presence on the huge World Wide Web is extremely important for building business volume. Search engines love valuable content and will reward you for it. Make your blog an online folder for your business and inter-connect your social media accounts as well. A business blog is a direct communication channel for your business. Take advantage of this unique tool and use it to share timely and relevant information with your customers. Become familiar with how to include hyperlinks into your content, that way you can share substantial information relevant to your business. For example, if you wanted to write a blog updating your customers on recent Market America news, you could simply create a hyperlink to the recent post we wrote on the ma Blog HERE. These unique tools allow you to pull helpful content from all over the web and the information and possibilities are endless. On your blog, you are the expert. Make your customers believe that no one knows more about your business than you do! So don’t be afraid brag a little! Talk about some of your successes in the past month of hard work. Get your readers excited about the idea that they could become an UnFranchise® Business Owner as successful as yourself. Share your own personal experiences with products. How they have a positively affected you. Your customers want you to give them a reason that they should purchase these products and what better way to promote them than through your own testimonials! This is your chance to reach a large audience and build a relationship with your current or potential customers or business partners! We recommend that you give your readers the chance to comment on your blog posts! This opens the line of communication and allows you to engage with your readers. A regularly updated blog will have your readers returning craving your new material, excited to hear from you and eager to interact! Don’t be afraid to be creative! It should be a fun, yet highly productive way to direct more traffic to your business and generate sales and customers! Spend some time checking out other business blogs to get a feel for the layout. Check out some more of the blog posts to help you get on track!